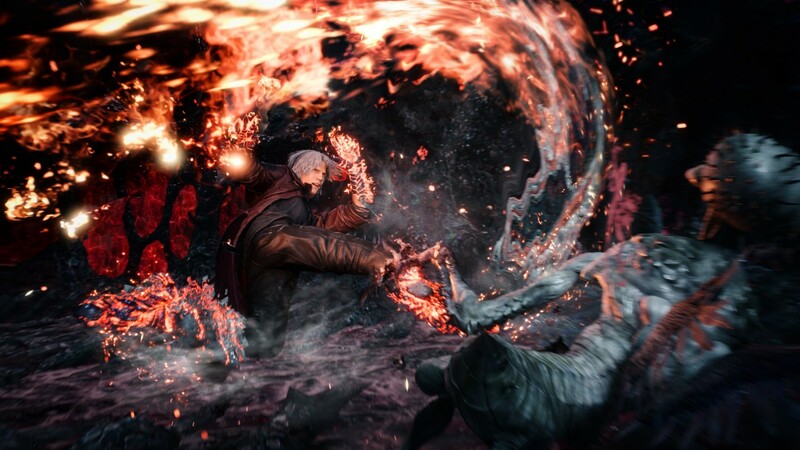 We recently had the chance to check out a new build of Devil May Cry 5 at this year's TGS, and came away pretty impressed by how its action and style make you feel cool while also giving substance to its combat. One thing that might cramp that style, however, is the presence of microtransactions, which let you level up your characters by spending real money. Gamespot reports that, while playing the demo, they came across a Divinity Statue (the game's shop) which, along with giving you access to new weapons and abilities by using the orbs you acquire by playing the game, will allow you to spend real money to get orbs, letting you cut down the time it may take to grind out those upgrades the normal way. According to Gamespot, director Hideaki Itsuno says the microtransactions are there so people can play however they want. "If they want to save time and just want to get all the stuff at once, those people can do that. But on the other hand I don’t feel you have to get all the moves, " Itsuno told Gamespot. "You should be able to play it the way you want to play it." Devil May Cry 5 is scheduled to release on March 9, 2019. For more on the game, check out our look at why Itsuno decided to go with a motorcycle as Dante's breakout new weapon. I'm not thrilled about the idea of microtransactions in a game like this, especially if there're any leaderboards that may reward an already good player who happened to spend a bunch of money to unlock everything immediately and earn higher scores and better combos before someone who didn't spend money. (hopefully there's something to prevent). But I guess I'm not too surprised by it, either - Devil May Cry 4's Special Edition had them too. What strikes me as particularly irksome, though, is that this is being pitched as a service to the user, as if Capcom is doing us a favor by letting us give them money. If they really wanted players to play however they like, why not let them unlock everything off the bat without spending money? It'd break the game, obviously, but the only difference between that and what Capcom is pitching is that you'd be out $20 (likely more) or so dollars at the end.